To kick off this new season of delicious food and healthy living, we’ve got a new client promotion this month. 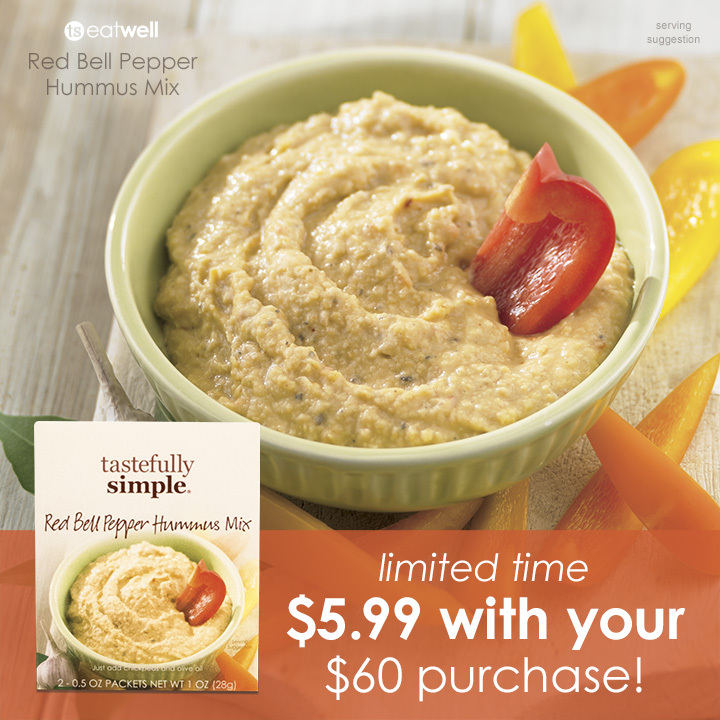 Our March client promotion is our Red Bell Pepper Hummus Mix. You can get this mix for $5.99 with a $60.00 purchase. To make this Red Bell Pepper Hummus just add chickpeas and olive oil. Hummus makes a great dip, a base for pizza, or even a sandwich spread.